If you intend to list your house, it may be beneficial to perform home upgrades. That way, you can enhance your residence and increase the likelihood of generating plenty of interest in your house as soon as it becomes available. Oftentimes, a home&apos;s roof will deteriorate over time. And if a home seller is not careful, he or she may be forced to repair or replace a house&apos;s roof prior to listing a residence. Because failure to update this home&apos;s roof may force a home seller to miss out on opportunities to maximize his or her home sale earnings. For those who need help upgrading a home&apos;s roof, there is no need to worry. Many roofing contractors are available in cities and towns nationwide, and these professionals can help you update a home&apos;s roof in no time at all. 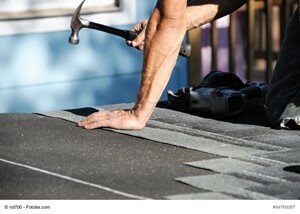 Differentiating a top-notch roofing contractor from an ordinary roofing contractor, however, sometimes can be difficult. Lucky for you, we&apos;re here to help you streamline the process of hiring the best-available roofing contractor in your city or town to update your house&apos;s roof. Now, let&apos;s take a look at three tips to help you select the ideal roofing contractor. There is no shortage of roofing contractors at your disposal. Thus, you should receive quotes from multiple roofing contractors in your area. Reach out to a variety of local roofing contractors – you&apos;ll be glad you did. In most instance, roofing contractors will offer free roof evaluations and estimates. Then, you can use the information provided by various roofing contractors to help you make an informed decision. When it comes to selecting a roofing contractor, there is no such thing as a "bad" question. Therefore, you should ask a roofing contractor lots of questions to ensure you can make the best-possible choice. Remember, roof repairs or updates may prove to be costly. But if you ask a roofing contractor for full details about a roof project, this professional can provide you with the insights you need to maximize the value of your investment. Generally, a roofing contractor can provide client referrals at a moment&apos;s notice. These referrals may prove to be exceedingly valuable, as they can help you understand what it&apos;s like to work with a roofing contractor before you make your final decision. If you need extra help finding the right roofing contractor, you may want to reach out to a real estate agent as well. This housing market professional can put you in touch with the top roofing contractors in your city or town, ensuring you can get the home improvement support that you need. Of course, a real estate agent can provide you with expert guidance throughout the home selling journey too. He or she can help you list your residence, promote it to the right groups of buyers and ensure you can enjoy a quick, profitable home selling experience. Take the necessary steps to upgrade your home&apos;s roof – use the aforementioned tips, and you can hire a terrific roofing contractor before you add your residence to the housing market. 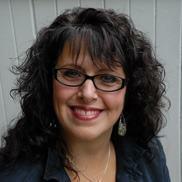 It is my goal as your full service Realtor to provide you with SUPERIOR service at all time. I specialize in Hartford, Tolland and Middlesex Counties, specifically the towns of Manchester, Bolton, Glastonbury, South Windsor, Coventry, Vernon, East Hartford and Middletown and some select towns within a 30 mile radius of my office. My local expertise and extensive real estate experience, together with my legal and construction knowledge, will benefit you whether you are serious about buying or seller a home at this time, or are a returning client reviewing the many homeowner resources I offer. My personal objective when I work with a client is to achieve YOUR primary objectives. I believe your real estate experience should be fun and stress free.